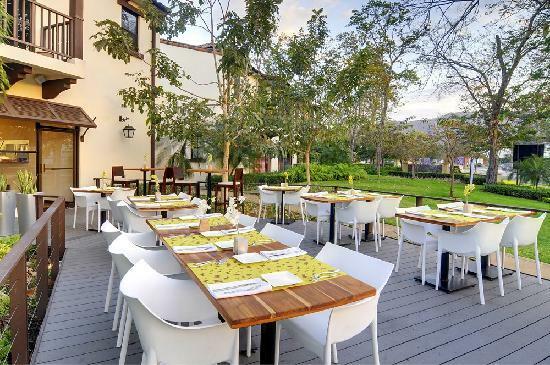 Nya Restaurant at Villa Buena Onda is a small private resort offering delicious and affordable meals through blending local and American cuisine. The restaurant also offers wedding celebrations. So, if you are getting married, you should consider this spot; if you are hungry while near Playas del Coco, this is the right place for you. 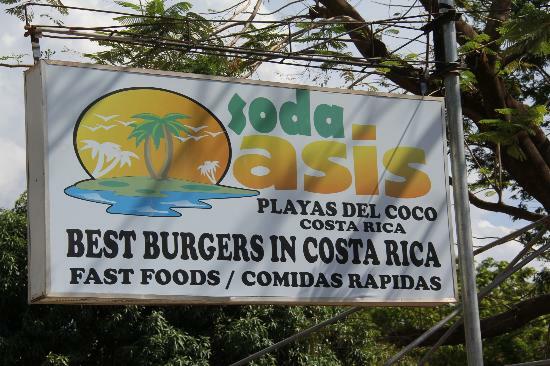 Soda Oasis el Coco, an excellent restaurant based in Playa del Coco, excels in various yummy burgers and a number of other dishes at more affordable prices. This is the right spot to have flavorful meals without emptying your pockets. It is often frequented for vacations, family and romantic meals. The menu consists of burgers, chicken, Italian Stallion, salads, ice, rice, black beans, mushroom swiss, hot dogs, much more. The foods are excellently made with fresh ingredients; they are served in large portions, allowing sharing with your partner. The Italian Stallion comprises of salami provolone, tomato sauce, roasted red peppers, and fresh basil. This dish is very delicious. 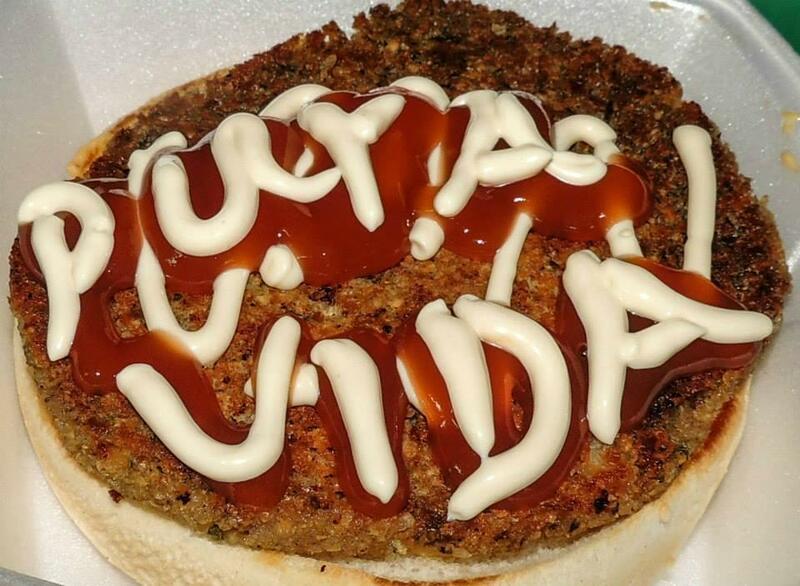 It is second to burgers, the spot’s specialty. If you are lucky to find the mushroom swiss on the menu, go for it; it will have your mouth watering. If you still need more food, you can get full with the Casado. Aside from being served generously, it is also full of exquisite flavors. You can also order an ice-cold soda to accompany your meals, which is a perfect way of ending your entrées. The staff is professional and attentive. Thanks to the staff’s fluency in English, the clients can have a smooth conversation with them. So, there is no barrier at all; they can request their favorite foods in the language that they know best, either in Spanish or in English. Since the connoisseur cooks the food while the clients are watching, they can have an idea about the preparation method of their entrées. So, if they want, they can try the recipes when they get home. 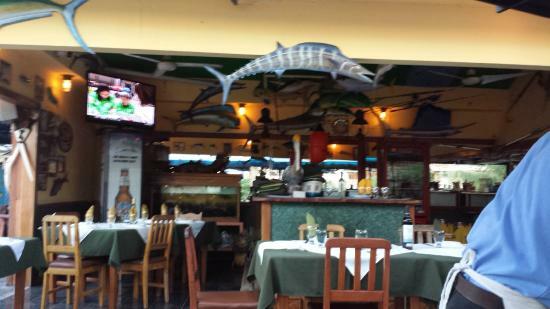 Papagayo Seafood, as its name implies, is a restaurant excelling in seafood, based in Playa del Coco. It offers delicious breakfast, lunch, and dinner. Given its location, near the beach shops, visitors find it easy to get to the spot. If you are around this area, you’d try this amazing place; it has lots of surprises for you. The extensive menu provides unbeatable dishes, such as ceviche, seabass, blackened mahi-mahi, beschamel sauce, shrimp fettuccine, tuna, sautéed octopus, pasta, sushi, red snapper, jambalaya, and much more. To whet your appetite, you can order the sushi. It’s very yummy and appetizing. Then, you can order the red snapper; it comes grilled, which makes it even yummier. You can also order jambalaya accompanied with shrimp. With the adjustment of the Cajun spices, you can get hot, if you prefer; if you want pasta, you can get it with the beschamel sauce and shrimp. Macadamia is as tasty as is the lobster. You will love it even more as it’s blended with seafood medley. Like the blackened mahi-mahi, the tuna is served with the orange chili sauce; the ceviche is best enjoyed with shrimp cocktail. As for beverages, you can ask for beers as well as margaritas. The restaurant provides clients with great services. The servers are kind and patient. As the clients make their orders, they get the food in a timely manner. Could they be somewhat dissatisfied with their orders, the staff is always ready to provide them with new dishes to suit their tastes—the prices are reasonable. Situated in Playa del Coco, Le COQ Lebanese Health Food, a small and beautiful restaurant, excels in Lebanese food, which can either be ordered from home or be enjoyed at the very spot. This place is perfect for both lunch and dinner. Since it’s a busy restaurant, you’d either make a reservation or go early. The menu offers unbeatable foods, such as falafel wrap, Mero Mero, chicken shawarma, hummus and more. The food is wonderfully prepared in front of the visitors—you’ll love watching the professional connoisseur. The food is dished up in such a way that clients can get satiated with just one order. It is large enough to share with your companion. In case you can’t eat up your entrée, you can take the leftovers home. 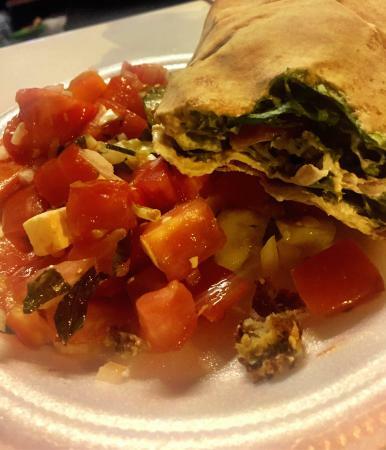 As a group, you can order falafel wrap as well as Mero Mero dishes, both of which are out of this world. Chicken shawarma is also very delicious. If you like chicken dishes, this dish is the way to go. Hummus is so yummy. You can’t miss it. In addition, the restaurant offers tasty drinks; you can order cocktails. There are cold drinks, too. Yet, the restaurant does not offer alcohol. The staff is very friendly. As soon as visitors take a step inside, they feel at home—they are warmly welcomed. The servers quickly take orders and deliver the food in few minutes. The owners, a Canadian couple, are equally friendly. They work hard to ensure your satisfaction. Decorated with local art, Kaixo is a beautiful, small restaurant based in Playa del Coco, Costa Rica. With its amazing food and services, the restaurant is suitable for all the meals of the day, breakfast, lunch and dinner. The restaurant—a bright open spot—offers a great variety of foods. From breakfast to lunch and dinner, you get to choose your favorite entrée, exceptionally prepared by a great connoisseur. The menu comprises of fresh fish, eggs, potatoes, gazpacho, smoked snapper pate, homemade bread, red snapper, chocolate mousse, croquettes, and more. You will definitely love the wonderfully prepared egg and tapas, not to mention Croque Madame, one of the tastiest breakfasts in the site. Though each and every client has his/her taste, every food is really unbeatable. The staff, a couple from Barcelona, offers outstanding services—they even take the time to greet every customer, as they arrive at the spot. They all are attentive to orders; they explain the preparation of every dish and offer recommendations to new clients having a hard time choosing the right meals. Since the food is served in large portions, they feel the need to tell customers the quantity of their order, so that they can order the right amount. With these great services, your experience will be stuck in your memory, always urging you to return. Since the restaurant is very small, you should better make a reservation. So, you won’t miss out on the fresh and delicious meals. You will have excellent services at affordable prices. 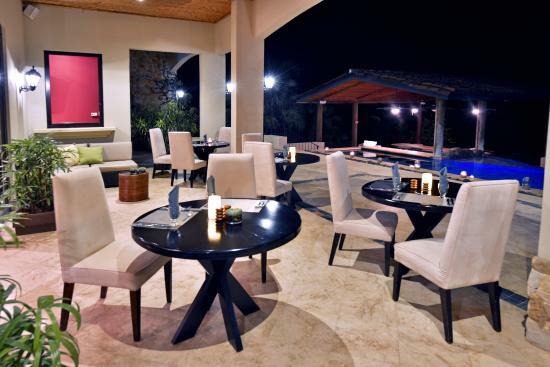 Chorotacos has an outdoor settings for customers who prefer the outside area of the restaurant. It is a cool area that provides you with a view to the external environment. The customer service is friendly hence you are guaranteed of satisfactory services. Whenever you visit Costa Rica, you should absolutely try the Chorotacos Restaurant. If you want to have the most delicious tacos in Costa Rica, visit the Chorotacos restaurant. It is a modern and pleasant restaurant with delicious meals like tacos. The few times I have spent time in Costa Rica I have always enjoyed tacos. The food is at affordable prices and you get to choose tacos of your choice. The tacos can either be made of fish, pork or chicken. Spiced chicken tacos is the best and highly recommendable. They offer creatively prepared tacos made of ether fish, pork or chicken. You will get to choose your favourite tacos and they will surely make it deliciously. It is a good place to pick quick lunch or snacks. The waters are friendly and offer satisfactory services. It has a unique area in the outside for customers to seat and enjoy their meals. It is an awesome place to go for lunch with friends and have a good time eating the well prepared tacos. It is strategically located in Centro Comercial Luperon, Playas del Coco in Costa Roca. You can comfortably drive to this restaurant and buy takeaway food. The tables are uniquely arranged for two or more. They improve the ambiance of the restaurant and makes it convenient for you to enjoy your meal. Le Coq is the best place to visit while you are in Costa Rica. It has a phenomenal ambience and quality services as well. The waiters are welcoming and will receive you at the entrance as they help you carry your bags, if any. The waiters will always check to ensure that everything is good and that you are satisfied with the food. Not only are the services amazing, but also the food is yummy. This is one of the restaurants with heavenly food and is served in great portions. Almost every food offered in the menu is healthy and delicious. You do not have to worry about your health when eating at this place. They have local made salsa that matches well with potatoes and chicken. If you want to eat healthy, always visit the Le Coq restaurant. The chefs understand the need for eating healthy. They use the best of ingredients, especially the local ingredients to spice up the food. It is strategically located at the main street making it easily accessible. It has uniquely prepared Mediterranean foods like tapas, and antipasti. These are awesome starters before eating the main dish. There are good juices like the tamarind juice that is freshly prepared. They have awesome Greek salad even though herb and onions were lacking. Every food or drink you order here is usually freshly prepared. This restaurant is strategically located at the Main Street near a booming Beach Town. It is readily accessible therefore you can get quick lunch. They have takeaway options and your food will be well packed. It is a suitable place to have family and friends diner. You will definitely have a good time as you enjoy well prepared foods. There are a variety of foods to choose from the menu. When it comes to enjoying the best seafood, always think about the Lookout restaurant. They are the first and the only restaurant in Guanacaste, Costa Rica to stock live oysters that are served and eaten raw. They are also the pioneers of serving Costa Rican craft beers on tap. The rest of the restaurants have not been able to catch up with the uniqueness of this restaurant. The Lookout has a priceless ambiance and exceptional food. You can reserve a table an hour before the sunset if you want to view the beauty of the sunshine as the sun sets. After visiting the restaurant with a couple of friends, everyone loved it including the service and food. This is one of the best restaurant that offers mouth-watering sea foods like the oysters and sushi. The tuna poke nachos are also delicious. You would love to eat more of these once you taste them because they are amazing. The technique of cooking is matched with beautiful ambience of the hotel. After a long day of working you are sure to relax in this restaurant. It is rare to find such a restaurant that offers delicious sea foods. They offer creatively prepared sea foods that will surely satisfy you. The food is usually appealing from the menu to the way it is presented to the table and you will really love it. The Lookout restaurant has a bar that will serve with cold drinks of your favourite beers. It is an awesome place to have family diner. 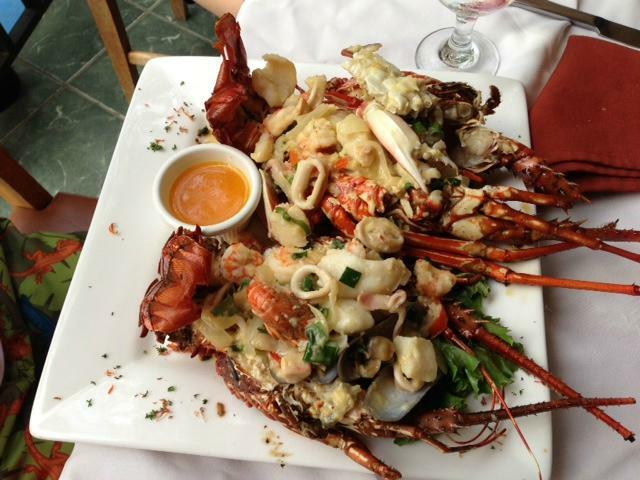 The Lookout restaurant is located in Playas Del Coco, Guanacaste in Costa Rica. It has a priceless menus that offers the most fresh sea foods at affordable prices. The chef understands the importance of making creative and delicious foods to attract more customers and to make your visit worth your time and money.